Next week is the finale of Season 17 of ABC’s now classic reality competition Dancing with the Stars. This show has captured the imagination of men and women across the country. For nine years now the show has drawn more than 10 million viewers per episode. Perhaps the viewers tune in to reconnect with a celebrity from their youth, or to check out the sparkly costumes, but something tells us it’s the amazing dances that keep them coming back. Holland America took note of this intense interest and for the past year has offered a program called Dancing with the Stars: At Sea. Onboard, passengers have been treated to dance classes and a few special cruises have featured some of the professional dancers from the show, like Kym Johnson, Mark Ballas and fan favorite Tristan MacManus, along with some of the celebrities like Shawn Johnson and Joey Fatone. On top of all this, passengers were also invited to compete in Holland America’s own dancing competition, which will have its finale on the Jan. 12th sailing of the ms Nieuw Amsterdam. 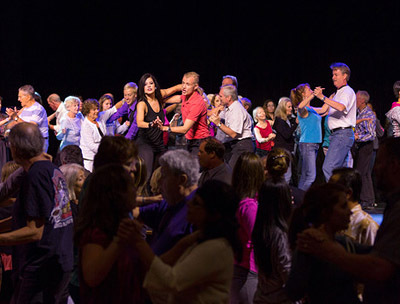 The competition invites any passenger to try their hand at dancing. The cream of the crop is then picked to perform with one of the ship’s professional dancers to a DWTS routine. Then, just like on the show, the lights go on and competitors are out there in front of an audience of their fellow passengers. These competitors are judged by a panel that includes the ship’s dancers and notable ship officers. Plus, if a DWTS celebrity or dancer is onboard then they will also serve on the panel, but their scores are combined with the audience appreciation vote, which is determined through a decibel reading. The dancer with the highest score is crowned Cruise Champion. Then after all the eligible sailings are completed this week, the 15 Cruise Champions with the highest scores per ship will be invited to participate in the Champions Cruise on Jan. 12th. 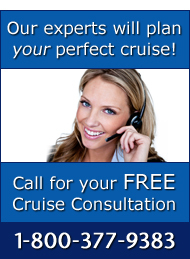 For their efforts, all Champions Cruise finalists receive a complimentary ocean view stateroom for themselves and a guest. During the championship sailing, the 15 champions will show off their skills against each other to compete for Holland America’s version of the mirror ball trophy. 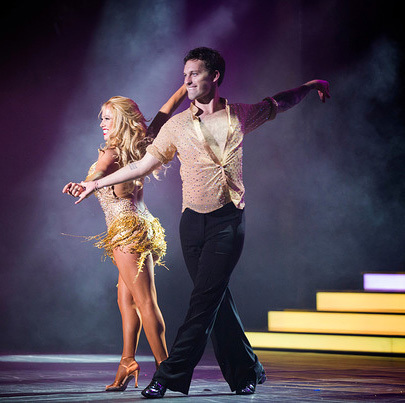 If you’d like to be aboard this hip-shaking sailing, which will also feature Kym Johnson, Tristan MacManus and Sabrina Bryan, you can book it via The Cruise Web.